Britton Diamonds Couture Collection, Tanzanite is an extraordinary gemstone. It occurs in only one place worldwide Tanzania. 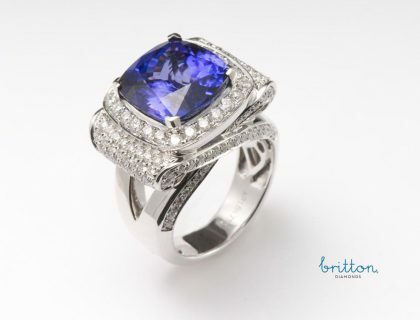 Its blue, surrounded by a fine hint of purple, is a beautiful breath taking colour.This ring consists of a 8.01 carat Tanzanite and accenting one hundred & fifty diamonds with a combined weight of 1.45ct in pristine 18K white gold. SKU: 190-00072 Categories: Precious Gem Ring, Rings. 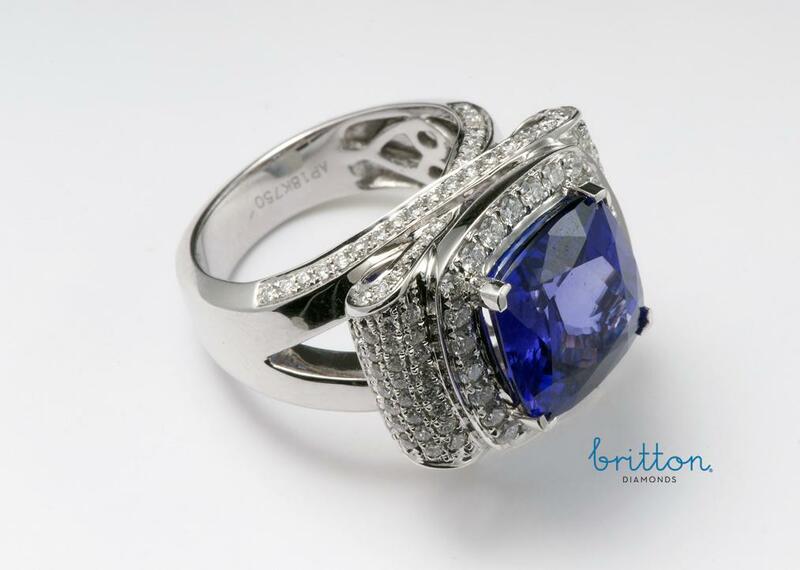 Tag: Tanzanite and Diamond Ring.